According to reports from the Stockholm Globe Arena, the damage took place late in the first period of a game between Mora and their cross town rival, Leksands. Kopitar was in the corner, along the boards, and skated away a little uncomfortably. He later told local reporters, his right knee felt “strange” after the play. Even though he skated one more shift, he knew things weren’t right. Initial reports said he would most likely be out of action two to four weeks. However, once the swelling went down a few hours later, things seem to be taking a more positive tone. 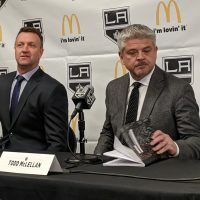 Kopitar’s agent, Pat Brisson, told Helene Elliott of the LA Times the knee injury “is nothing to be alarmed with.” He also went went on to share that his client is “in good spirits” and Kopitar doesn’t think it’s serious. An MRI on his right knee is scheduled for Monday. 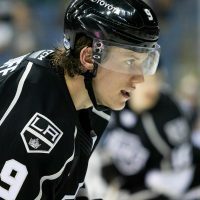 To the surprise of nobody, Kopitar has been the leading point producer for Mora this season, posting 34 points (10 goals, 24 assists) in 31 games. 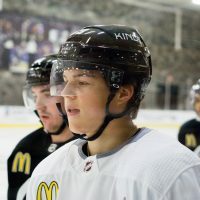 He entered the day fourth in league scoring, just two points back of former King Jared Aulin. In November, Kopitar also told MayorsManor of how he helped recruit Anaheim Ducks forward Bobby Ryan to join the club as well. 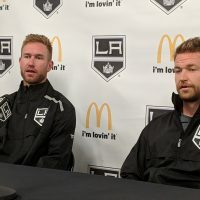 Until today, the experience had been an overwhelmingly positive one for the 2012 Stanley Cup Champion, as he was usually playing on the same line as his younger brother, Gasper. 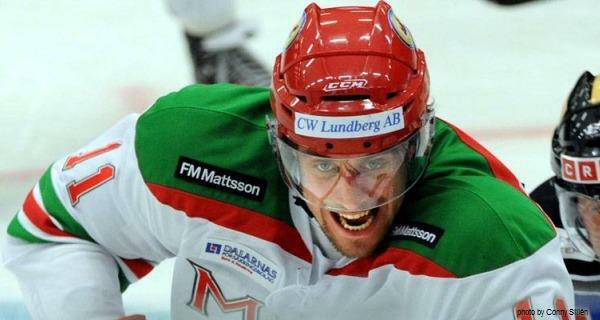 Adding insult to injury, Mora went on to lose today’s game with first place Leksands by a final score of 5-0.